Minimalist yet technologically advanced eCommerce. Enjoy the simplicity of the online store for this unique Japanese flavoured fashion brand. UEG is a well known conceptual clothing brand. 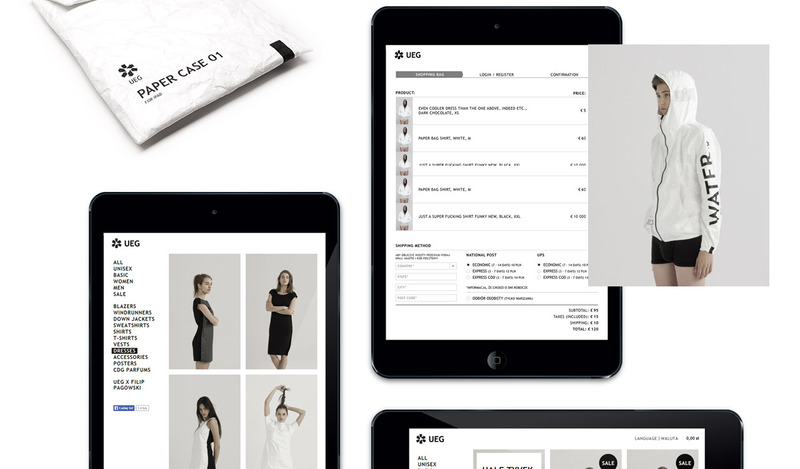 The intuitive interface of the online store is inspired by the monochrome minimalism of UEG’s clothes. We used Magento, which allowed us to pair up this minimalistic store with advanced technology. Crucial features of the site included: geolocation that automatically adjusts users’ language and currency, as well as payment and delivery options based on product weight and destination. All these processes work quietly in the background, providing a seamless buying experience.